Home / Blog / Which is the best hotel in Halong? Hauntingly beautiful Halong Bay is famous for its own fascinating limestone Karst scenery with around 3,000 islands. It is rising from the clear emerald water surface like the dragon descending to the sea. Halong turns into the highlight of any destinations for travelers. And as any trip, to make it becomes more wonderful, choosing a good place where you are staying is highly important. So, if you have intention to travel Halong, the information about the best hotel in Halong is really useful for you. 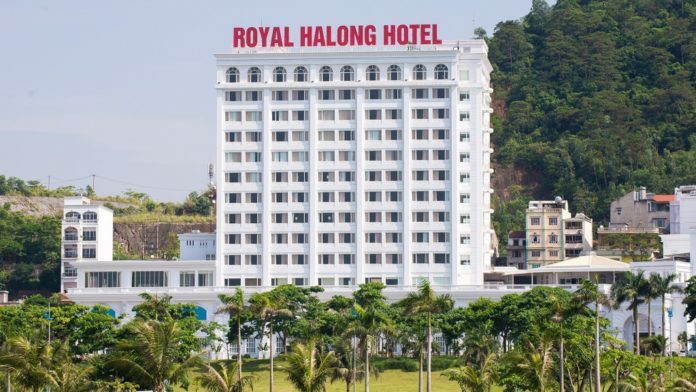 Royal Halong Hotel is the first and the only hotel located in the coastal area of Hon Gai town, the centre of Halong City, the major sight-seeing and shopping place. This hotel has 40 luxurious rooms overlooking Halong Bay and Halong City. 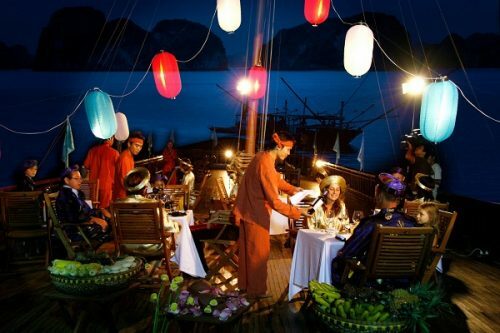 With the best location, Royal Halong Hotel allows travelers to admire the beauty of Halong’s panoramic view. Especially, it fits for both leisure and business customer with full services and a professional staff, which would exceed your expectation. You can visit Vietnam travel tours to get more information. 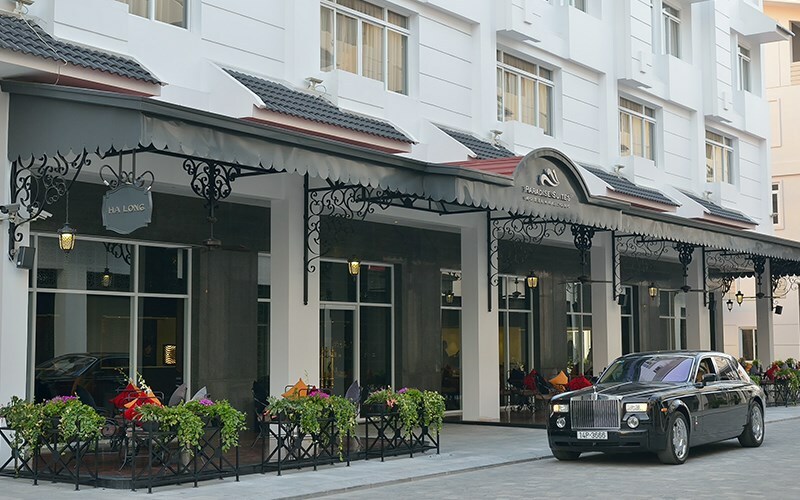 Paradise Suites Hotel is the first luxury boutique hotel with its own features on the shores of Halong Bay. The hotel aims at extending the enchantment and humble majesty of the mythical seascape here. Even if Paradise Suites Hotel’s guests are staying on land, they are offered a joyful experience of beauty and delicacy at all time. Paradise Suites stands for Boutique and Beauty, a will to offer full of joy of experiences beyond expectations in extraordinary surroundings. The Halong Spring Hotel is located in the city Centre, just some minute walk from the Royal Park and around 100m long from Bai Chay beach. Particularly, coming to Halong Spring Hotel, you can enjoy the views of Halong Bay while dining at the 11th floor restaurant, or while sipping a drink at the interesting bar. All rooms at the Halong Spring Hotel have high speed internet access and good standard amenities. 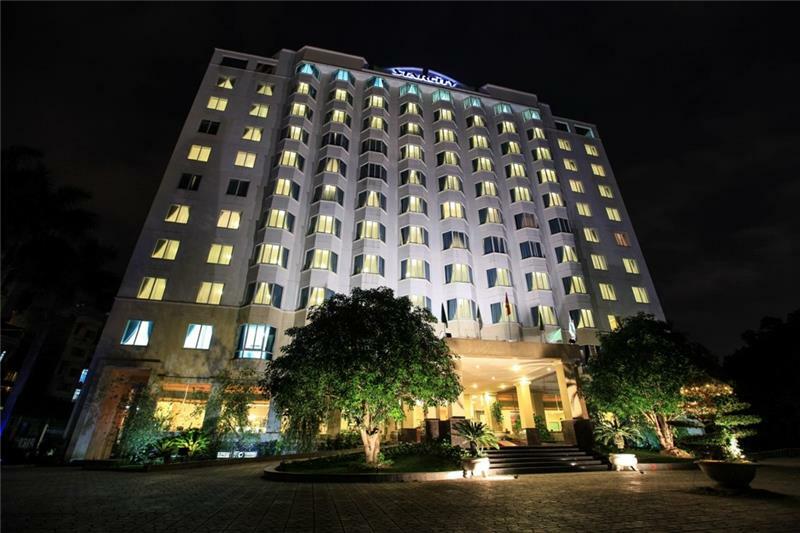 Saigon Halong Hotel is one of the leading four-star hotels in Ha Long city with 222 guest rooms. It is located in the heart of Bai Chay tourist center, where is really convenient for leisure activities and visiting legendary Ha Long Bay. 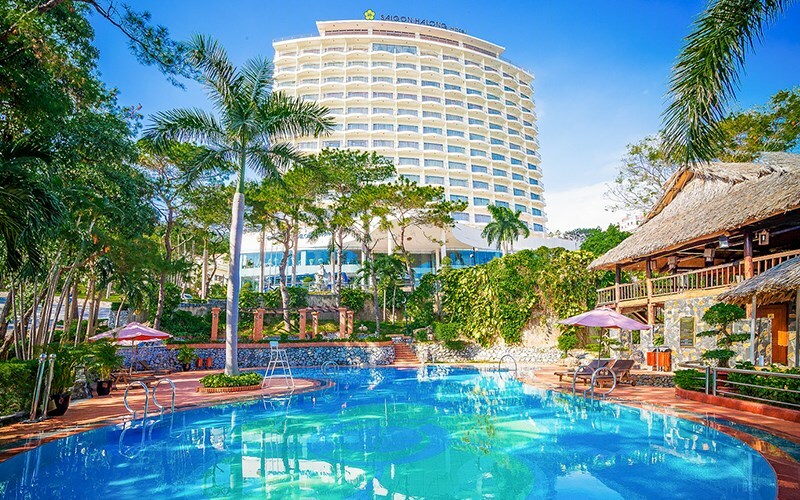 Saigon Halong Hotel is a special complex composing of a 14-story building, five private villas, tennis court, outdoor swimming pool and lush green pine hill, which promises to bring a lot of joy to your trip in Halong. This hotel is also among the best ones in Halong, located on Hung Thang main road with the view of clear bay and City in perfect harmony with nature. Besides, the hotel is in an ideal area: just opposite Halong Marine Plaza, which is the biggest shopping & entertainment complex of Quang Ninh province with ferris wheel, kids playground, cinema, night market, manmade beach… and just a few minute walk to central business of Halong. 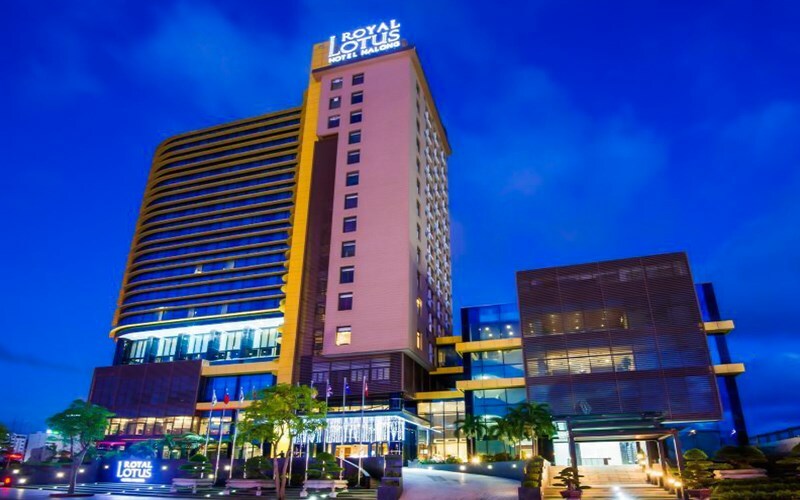 Royal Lotus Hotel Halong offers a touch of Vietnamese hospitality with international standard and impeccable services. The hotel has 147 elegant rooms with luxurious amenities and modern facilities, this Halong business hotel is always the first choice for the travelers in their priority list. As the best ones, it provides facilities such as: In-door Swimming Pool, Bai BuaThai Spa, Fitness Center, Function Rooms and Sky Bar, and three luxurious restaurants with a lot of delicious foods from various different cultures, such as: Wine Dine Lotus Vietnamese, International Restaurant and Hana Japanese Restaurant. For travelers who are planning to take a trip to Halong, knowing which hotel is the best hotel in Halong is extremely useful. And with a really good location, well-equipped, full of facilities, modern designs. The five best hotels mentioned above does meet to your demand to have a wonderful memories in your life when you come to Halong.